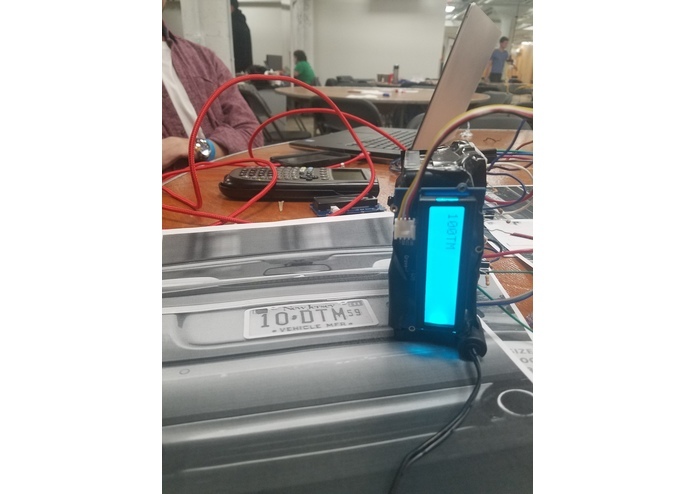 We used free open source software alpr as well as a Raspberry Pi to fabricate a device that recognizes car license plates. By pressing a button, the Pi takes an image with the camera, and this is then sent down a Python pipeline and analyzed onboard. The best prediction for the plate number is then displayed on an LCD.